The Doctor is behaving very oddly. After signing a treaty with enemy aliens, he returns to his home planet, Gallifrey and demands the Presidency of the High Council of Time Lords. His first act of rule is to banish Leela to the wastelands on pain of death. His second is to sabotage the planet's defence barriers, enabling full scale invasion. This release features digitally remastered picture and sound quality. It is one of the last commercially available copies left in Australia. 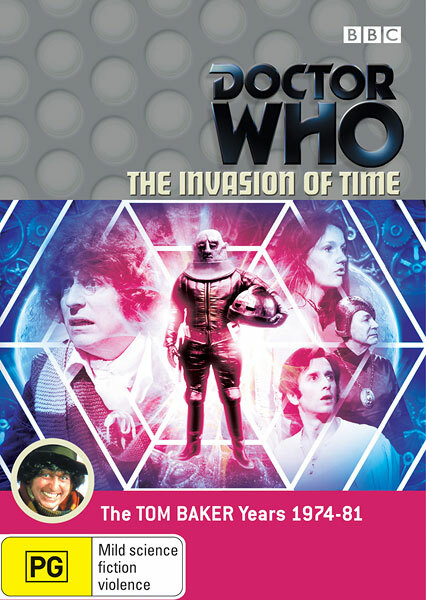 Special Features Include: commentary, interviews, a look at how the portayal of the Time Lords and their home planet has changed over the years, deleted scenes, optional CGI effects, Radio Times listings (PDF), Photo Gallery, Production Information Subtitles.